Writer. The Bonapartes, directed by Whitney Mosery. 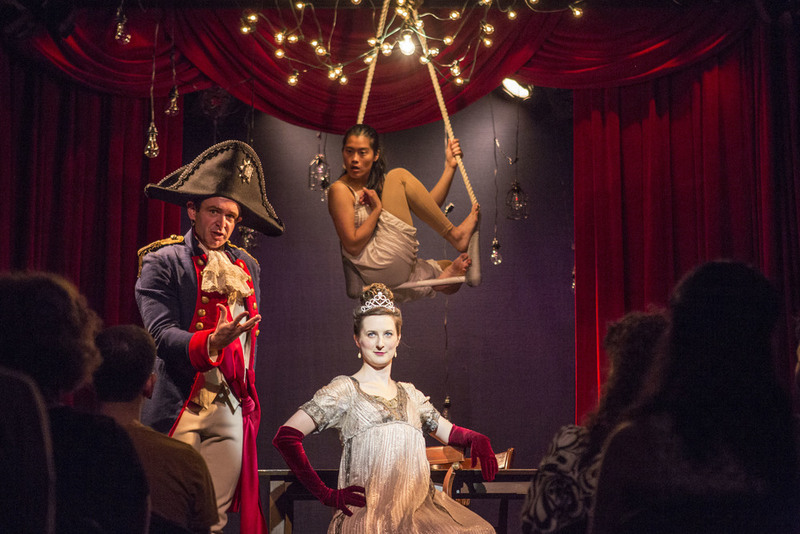 My play The Bonapartes reimagines the amazing true story of Napoleon Bonaparte, his wife Josephine - and Rose, the orangutan they raised as a human child. We follow the Bonapartes from room to room in their stately country mansion, watching them bicker and bite in bed, at table, in the greenhouses and on the lawns. 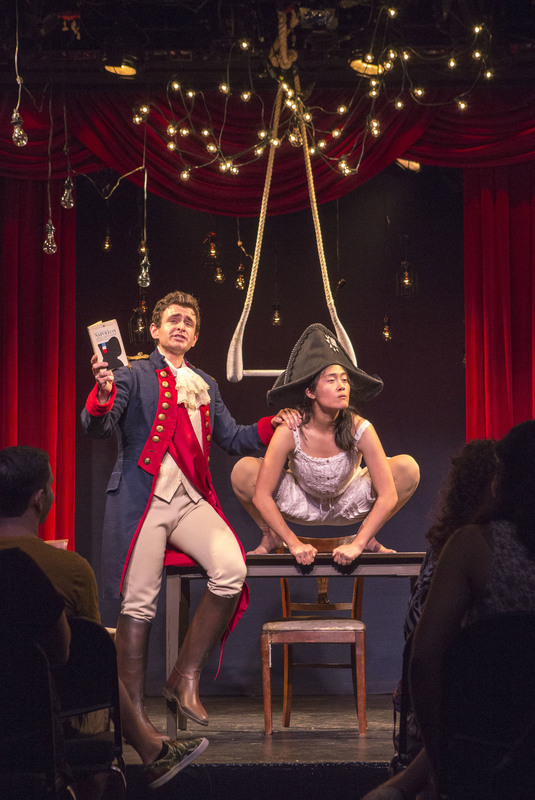 Rose's unique perspective and her acerbic wit expose the absurdity of war, colonialism, relationship and turnips in this darkly comic experimental tragedy. 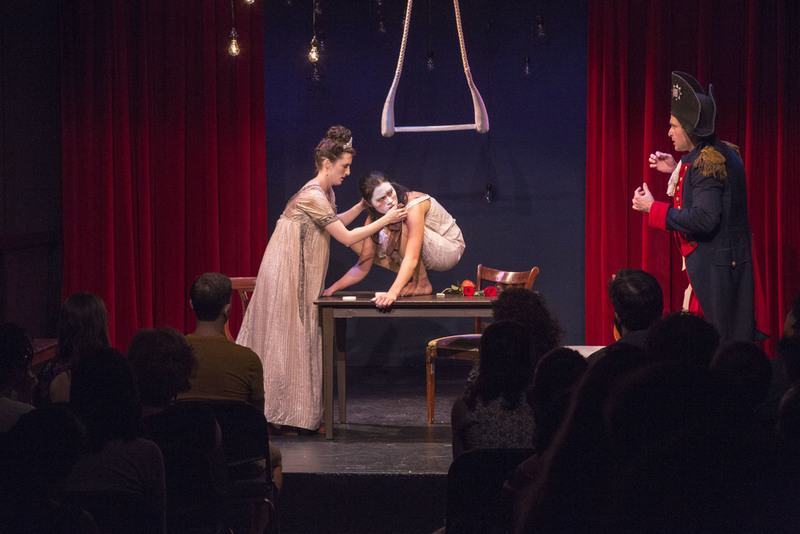 The version of this play presented at Ars Nova's ANT Fest was directed by my wonderful collaborator Whitney Mosery and featured Lindsay Rico as Rose, Becca Foresman as Josephine and Sean Patrick Murtagh as Napoleon. It was designed by David Valentino (set), Kate Bashore (lights), M. Florian Staab (music and sound) and Amanda Shafran (costumes). All photographs by Caroline Voagen Nelson and courtesy of Ars Nova.